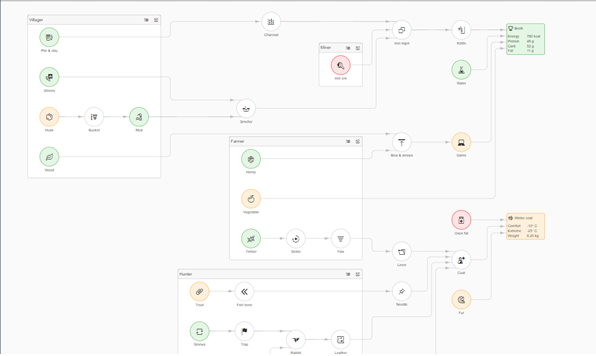 Moreover, network graph is highly customizable and can be used in a variety of ways. I would like to show one of such customization variants for which this control was not primarily designed but can be used – Org Chart. Imagine we have data with employees, their managers and colleagues, and we want to display this data as an organization hierarchy. By the end of this tutorial, our org chart will look like this. This example uses simulated dynamic loading (through JSON model) but you can just as well use it with OData service. In this example, each node can be collapsed and the root employee node has an upward arrow button that expands the tree one level up. 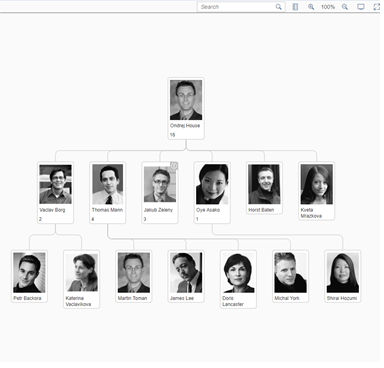 Network graph supports several layout algorithms. In this example, we use the default “layered“ algorithm with some small adjustments. nodePlacement: There are 3 ways to position nodes within a layered algorithm. “Simple” node placement attempts to place nodes as close to each other as possible to achieve a “tree-like” overall appearance. In our example, we will use the box shape, with a few adjustments. By default, a box-shaped node has an icon, a title, and attributes arranged as shown in the image below. 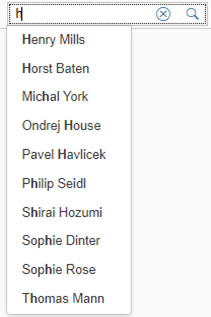 On the other hand, we want to have a single employee picture with a name below it. We also need to use attributes to display the number of this employee’s direct reports. We need to leave the title empty and use the description to hold the employee’s name. description: By default, a rectangular node displays an image and a title next to it (to the right). To modify this, we use an empty title and set the employee name as the description, which will be rendered below the image. width: You must adjust the node’s width manually to the image size. In our case, the image is 80px wide, while the node’s width is 90px. attributes: Attributes display information about the team size. This option bind to its aggregation. showActionLinksButton, showDetailButton: Hides the default action buttons (they are rendered after the user clicks the node), we will use custom buttons for all actions. shape: Displays the node as a rectangle. We need to bind the node to more data from model that is not available in the properties. For such cases, we can use the customData binding. 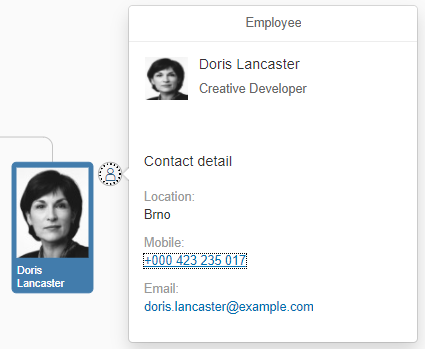 Using this data, we can show additional information about the employee, such as the team or location in the form of a popup. Attributes are used to display team size. With the lines, there is not much to customize in this example. We just hide the arrows by using the ‘arrowOrientation’ property. To disable the default line popover we attach a ‘press’ event and set ‘bPreventDefault’. As mentioned before, we are trying to simulate an OData service. Even though our data is stored in one JSON model, we manipulate it using filters the same way as you would do with OData service. To do so, we store an array of already loaded managers. For every manager node, we create a special action button that triggers additional data loading. To achieve this, we attach an event handler to the “beforeLayouting” event where we manipulate all nodes. This event is triggered before the data is sent to the layout algorithm and rendered. We add an “Up one level” button to the root manager node. Every manager has a “key” of his manager stored in the custom data, so we call “_loadMore” with this key. To simulate OData, we use filter objects. For each binding (nodes, lines), we create a filter representing the condition, such asid=’Boss1’, or manager =’Boss1’, or id=’Boss2’, or manager=’Boss2’, or a similar condition. The same applies to the lines. This narrows down the dataset and allows us to return only the managers and their teams that were already loaded. There are two ways to handle the expand/collapse behavior. Either the data is already loaded, so we simply hide the child nodes (this is the default network graph behavior), or the child nodes have to be loaded manually (as managers are not loaded with their team by default). In both cases, we need different buttons as shown in the code snippet below. An employee without a team (the employee is not a manager) – we hide the expand/collapse button as there is nothing to expand. A manager whose team has not been loaded yet – we create a new action button. In its press event, we call the already mentioneded “_loadMore” but with key of this node. This will load this manager’s team members. 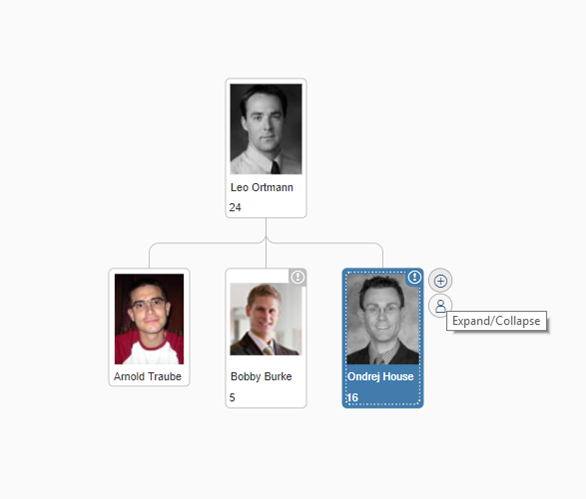 A manager with already loaded team members – we show the default collapse/expand button and let the network graph run the show. To display a custom popover, we must hide the default detail button, create a new one, and react to its press event. Again, we will use the ‘beforeLayouting’ event. We create an XML fragment which contains ‘QuickView’ to display employee details. We only need to create a new JSON model and bind it to the fragment. We use custom data bound to every node from the model (as described in the before in the beginning of the article). For more information about ‘QuickView’ , see the API Reference. By default, search works only with the data that the network graph has already loaded. Of course, when the data has to be loaded incrementally, this might be not sufficient, as the graph cannot display all data for the whole company (only maybe for a smaller company). The suggest function is called whenever a user wants to display data matching the filter condition. In this case, we simply go through all data in the JSON model. . In such a case, one would have to create a custom function accepting search parameters. The important part is, once you obtain the data you should call the ‘setSearchSuggestionItems’ method with an array of items to be displayed in the search field. Don’t forget to enable ‘preventDefault’, as calling OData service is asynchronous and we want to prevent default behavior until the data has been fully loaded. Search is triggered after the user selects an item from the suggested items. It resets all current items and display only the item that the user selected. There are several events provided by the Network Graph control that you can use for further customization. Moreover, most of the events support ‘preventDefault’ , so you can prevent the default behavior, as shown in this table. Node press Action buttons won’t be shown. Node collapseExpand Nodes won’t expand (collapse). Node hover Hover class won’t be added. Line hover Hover class won’t be added. Group showDetail Detail dialog won’t be shown. In this example, I’ve shown you how to customize network graph to edge cases it was not primary designed for. I hope you found this tutorial useful. If you have any questions or suggestions, please share them in the comments below. To explore other samples of network graph usage, see this link.